Hip-hop pioneer Fab 5 Freddy was immortalized when Blondie's 1980 hit Rapture dropped the verse "Fab 5 Freddy fold me everybody's fly." 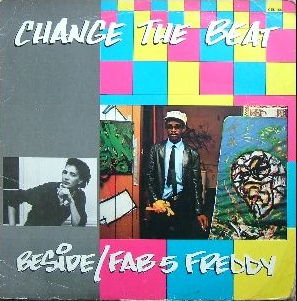 Fab 5 Freddy had many contributions to hip-hop music and culture, and his biggest contribution came in 1983 when he he wrote and recorded Change The Beat, the most sampled song of all-time - pieces of this record have been sampled in over 1,500 songs. The record was released with Fab 5 Freddy rapping in English and in French on the A-side. The B-side featured a rap in French by rapper Beside, and also a phrase spoken into a vocoder - "Ahhh, this stuff is really fresh." 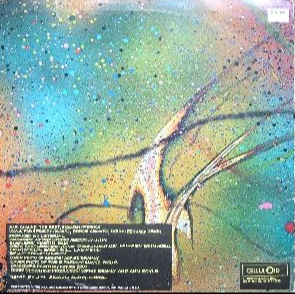 It wasn't long before Grandmixer D.ST scratched the spoken track on Herbie Hancock's earth shattering single Rock-It in 1983. It never stopped after that, the phrase and other elements of this song have been sampled continuously since the record dropped. Fab 5 Freddy went on in 1988 to become the first hip-hop VJ on MTV with the debut of Yo! MTV Raps, and in 1991 he was he was associate producer of the movie New Jack City. P.S.K. WHAT DOES IT MEAN? The Winston's were a Washington DC based funk and soul band in the 1960's. The drum break off their Amen, Brother record is the most widely sampled drum loop across many genres of music. Neither the writer/copyright holder or drummer have ever received any royalities for use of the sample, and they never sought it. In 1972 Lyn Collins released Think. James Brown co-wrote the song, and he produced it on his label Purple Records. The song has been sampled over 1000 times, the groove as well as the notorious "Yeah! Woo!" drum break. Roxanne Shante was the first to sample Think on her song Go On Girl in 1987. A few months later Rob Base and E-Z Rock released their mega hit It Take Two, memorably looping the "Yeah! Woo!" Late 1969 in Cincinnati, Ohio session drummer Clyde Stubblefield followed the spontaneous ad-libed direction of his band leader James Brown. "Give the drummer some," comes late in the track, the encouragement from Brown is followed by a drum break that becomes one of the most sampled drum breaks ever. Before the recording ends Brown appears to name the track on the spot announcing "the name of the tune is,The Funky Drummer." The tracks title became the nickname for drummer Stubblefield, who received no royalities or additional compensation for the song.